Early morning I carry a cooler full of eggs out to the road-stand. The dogs anxiously run ahead of me; they love hanging out under the tent. The first frost of the season clings to the grass glistening like a million diamonds in the sunlight. It is quiet and still all around, the only sound is the chirping of birds, and crowing roosters; Bert and Stanley singing their morning song. I can hear cattle in the distance mooing. A perfect morning in the country. The smell of bacon cooking is in the air and I hurry to set up the stand for the day. I know Mr. Cottage has a yummy breakfast waiting for me. 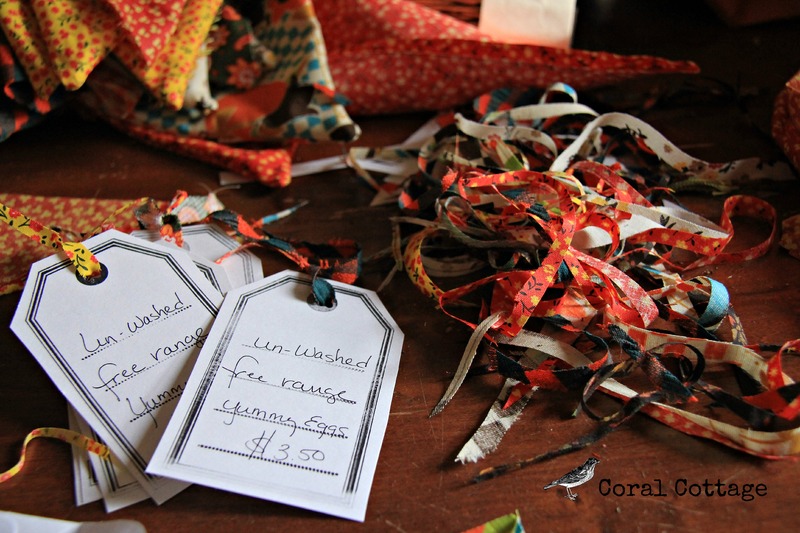 In recent weeks I painted signs, sewed bunting from fabric scraps to decorate the stand. I made tags from index cards and a rubber stamp. 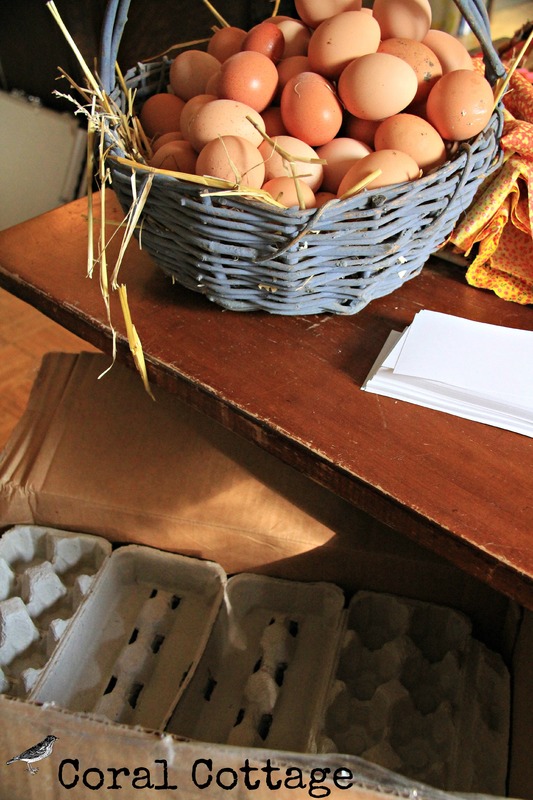 I used the fabric trimming from the bunting to tie tags on the cartons, and I filled cartons with our lovely eggs. It has been a week since I opened my little road side stand. I’ve had a few sales here and there, nothing to set the world on fire but enough to buy a few bags of feed. The honor system is working and I am pleased. Mostly I’m just happy that I did this. It may seem silly in our rural area to think there may be much interest, but I’ll never know if I don’t try. Kim of Red Dirt Farm • This entry was posted in chickens, Country living, Red Dirt Farmstand and tagged chasing a dream, egg stand, eggs for sale, flowers, fluvanna virginia, honor system, kim critzer, Palmyra, pears, road side stand, selling my chicken eggs. Bookmark the permalink. I was so happy to see your roadside stand with eggs for sale! I recently gave up my backyard chickens so it’s nice to be able to buy some locally. Thank You! Hi Debra – my furry companions are there every step of the way and I wouldn’t have it any other way! 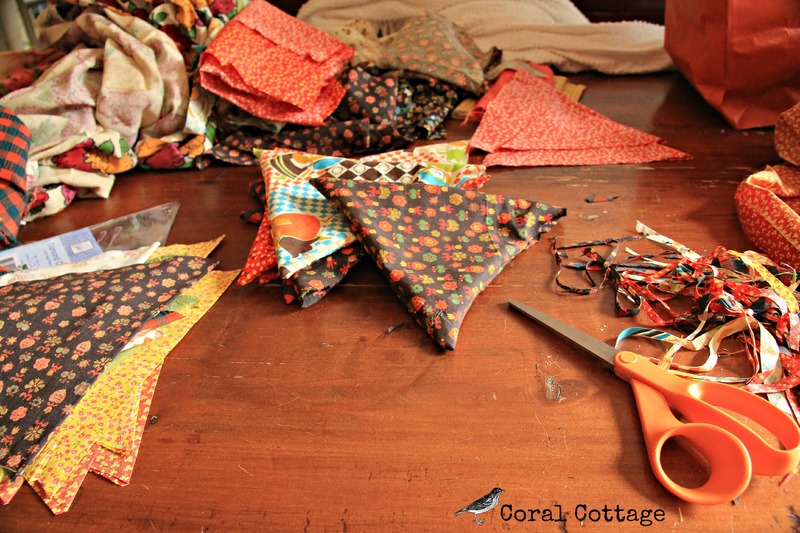 I really enjoyed sewing the bunting, and I am in the process of sewing more – using my mom’s stash, it makes me happy! I know doing this makes you happy, Kim! Will have to stop by soon and get some fresh eggs! Kimmie – Not everyone wants to do chickens, rural or not. I love chickens but it’s a lot of work and I understand the coops smell. I’m kinda urban rural — surrounded by subdivisions but able to have chickens if I wanted to do so. However, I doubt that the honor system would work in urban rural. Hi Linda – yeah I know chickens aren’t for all. I don’t find my coops to really be all that stinky – but I admit I’m pretty fanatical about keeping them clean. I’m proud that several chicken farmers have been here and commented on how clean and healthy our chickens are. I must be doing something right. Keeping my fingers crossed that business will build up and the honor system will continue to work. What a cute stand!! I am thinking about doing something like this is on our little farm. I’ve always wanted to have a little roadside stand. I wish you luck with yours! Once word gets around I’m sure you will do well! 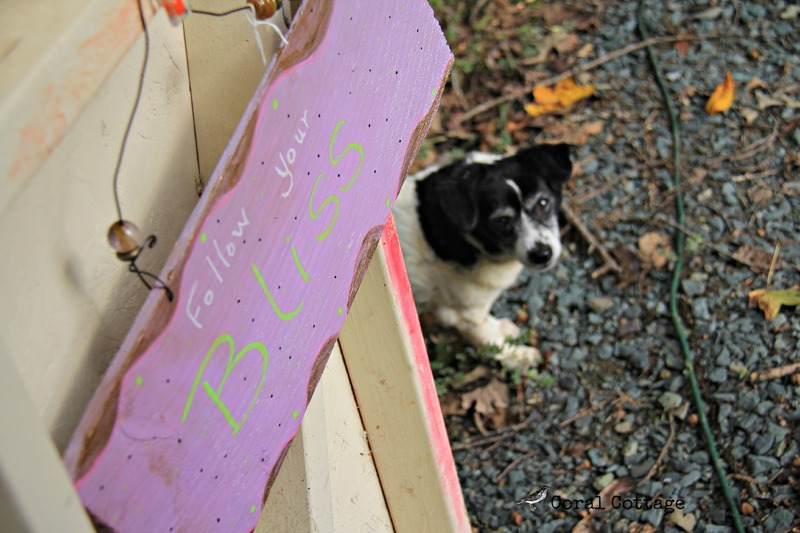 Thank you for sharing your post on Our Simple Homestead Bog Hop, hope to see you again next week! 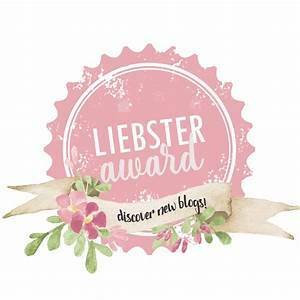 As one of the co-hosts I am going to feature your post next week! What fun! This just spells “country” to me. Thank you for sharing at Our Simple Homestead blog hop; I hope you’ll join us again this week. Hi Kathi – thanks for stopping by. We do live the good country life! Good for you! I’m so glad you’ve opened up a stand. I wish I lived close by~I’d be a regular!